In the Mid-1970s, Belgium was a wealthy country, with high investment into both the Wallonia and Flanders regions. At the time the policy of equal funding meant that if one region received funding for a project, in turn, the other would receive funding for a project of its own. With the money granted, Antwerp decided to put its tram system underground, with a view to running a metro system at some point in the future. This kind of systems is a ‘premetro’. A premetro is a tramway or light railway which includes segments built to rapid transit standards, usually as part of a process of conversion to a metro railway. 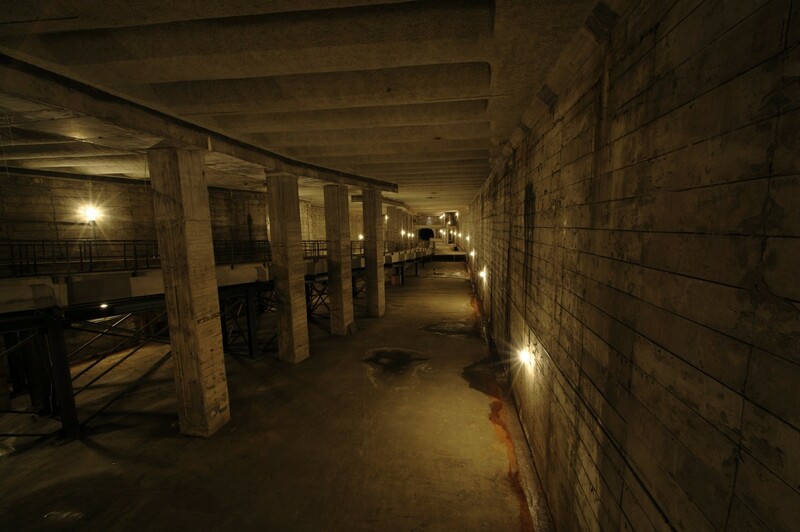 This is built mainly by the construction of tunnels in the central city area. The Antwerp Premetro was to be a length of 15 km with 22 stations and was to be a network consisting of lines 2, 3, 5, 6, 9 and 15 of the Antwerp Tram system. It was a 1000 mm rail gauge system, which planned to run underground in the city centre and further out on surface lines, which were separate from motor traffic. It was intended eventually to evolve into a full metro, similar to the Brussels Metro or German Stadtbahnen (light railways). The pre-metro network was originally planned around an East-West axis (Left Bank – Central Station – Deurne) and a north-south axis (Sportpaleis – Central Station – Plantin) crossing each other in the heart of the city, crossing the height of the stations Astrid and Opera . Between the western and the northern arm two intermediate lines were to be laid, running near the Stuivenberg Hospital and a branch with only one stop at the level of the old station Borgerhout . On 25 March 1975 , the first tunnel section opens with the stations Opera , Meir and Groenplaats . The trams of lines 2 (fromHoboken ) and 15 (from Mortsel ) returned to the underground loop under the Green Place. On 10 March 1980 the Opéra line expanded with the Diamond Station (the Central Station ) and Plantin . Due to the lack of space, the Diamand station was built above the tunnel tubes instead of along side them. At station Plantin, the platforms were built at various positions, as there was a split in the tunnel south of the station. 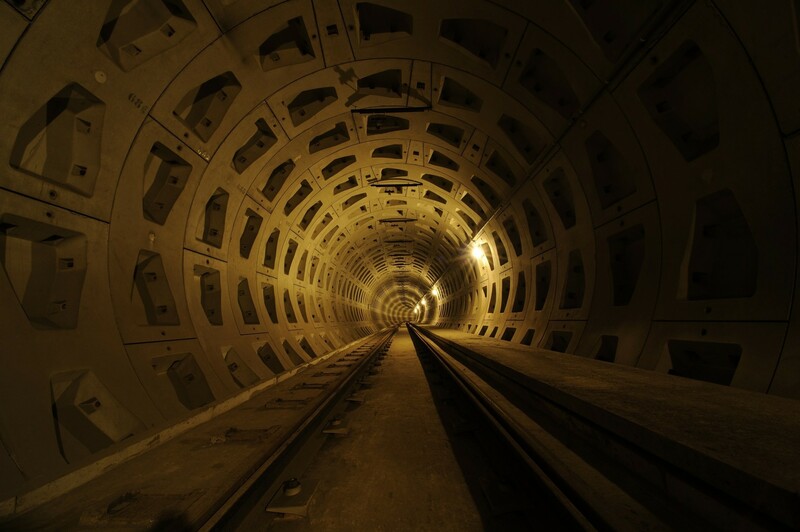 In 1983, the construction began on the 1km Brabo tunnel, which consists of two tubes under the river Scheldt. On 21 September 1990 the tunnel was opened by Flemish Minister of Transport Johan Sauwens. In the mid-1980s, construction began on a second pre-metro tunnel (under the Turnhoutsebaan). In 1988 the funding stopped and the two regions became responsible for their own public works, the construction of this tunnel stopped in 1989. On 1 April 1996, a northern premetro tunnel from the Opéra station to the Antwerps Sportpaleis is complete. The stations on this line (from Opéra) are: Astrid (under the Queen Astrid Square to Central Station), Elisabeth , Trade , Schijnpoort and Sportpaleis. With the exception of Elisabeth, all these stations have platforms at different levels, as previously used in Diamond and Plantin, although not all above the tunnel. The tram comes back to the surface via the ramp to the bridge over the Albert Canal . In 2004 the ‘Pegasus plan’ was approved in which several tram lines were to be built to the eastern suburbs, using some of the tunnels abandoned in the 1980s. The plan is for an eastern route, with an entrance ramp to the Frankrijklei and a new route along the transverse platforms under the current Opera and Astrid lines, then onwards via Drink to Herentalsebaan in Deurne. Above ground, it then travels eastwards, and urges a light rail along Wijnegem to Malle and along Borsbeek to Ranst. This tunnel will be completed and used as a speed-tram-tunnel, with only station Zegel and Astrid as underground stations. On March 4, 2006 line 5 goes live, it runs from Deurne North to Deurne Lef. This line used a part of the pre-metro that has not previously been used between Schijnpoort and the Ten Eeckhovelei. This service offers relief to line 3, as it runs every 2.5 minutes incorporates a route to Deune center. Since October 27, 2007 line 6, runs, from the pre-metro tunnels between Plantin and Sportpaleis. It uses a previously unused section of premetro between stations Diamond and Astrid. From 1 September 2012, line 2 and line 6 the only two pre-metro lines not to travel to the Left Bank. Tram 9 uses the previously used open slope to the Mercatorstraat. In total, the premetro spans a 13.5 km long tunnel network. Of these, however, only 8.1 kilometers operated. The remaining 5.4 km (including a tunnel under the Turnhoutsebaan, named the ‘Giant Pipe’) will be kept but is not currently in use. Recently it was announced that from 2015 a new tram line is launched that will make use of the ‘Giant Pipe’. The remaining are the tunnels dug between 1980 and 1986 along the trajectory Central Station – Deurne, under the Turnhoutsebaan, Kerkstraat, Carnotstraat, Church Street, Pothoekstraat, Stenenbrug and Herentalsebaan. The stations are still sleeping Morckhoven, College Avenue, Fair Street, Seal, Drink, Carnot, Stuivenberg and St. Willibrord. The railway tunnels of the unused line direction Deurne and the two branches of this line are almost completely finished (except the overhead track and signaling). The stations along these lines are in unfinished state.